Our CD is available on request. 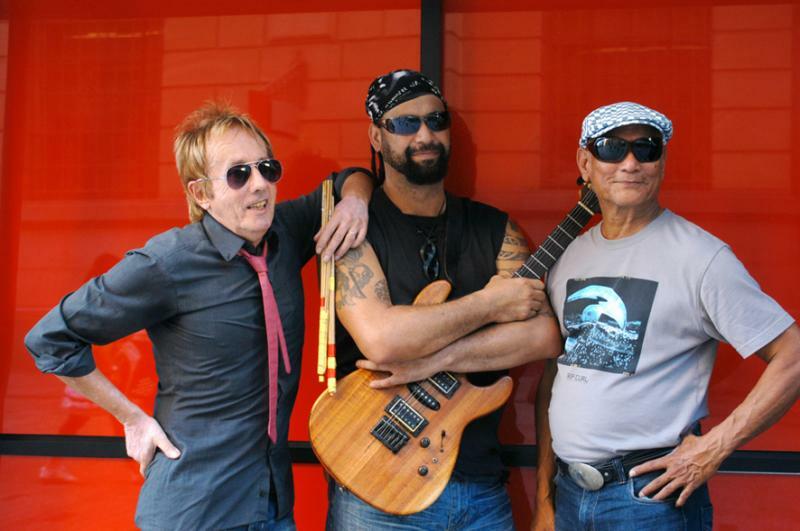 The band can be seen live at venues throughout Brisbane. Regular venues include The Morrison Hotel,at The Gabba. Queen Street Mall in the city, and The music Kafe in the west end. Hemi Kingi gtr/lead vocals is from NZ. Ray Lazaroo bass/lead vocals is from Singapore. Jim Toomey Drums/Vocals is from London. A truly international & experienced band that has been together for nearly three years.